I was born and brought up in what was then British-administered Malaya, and like most Chinese, my family's beliefs were primarily Buddhist but laced with substantial doses of Daosim and some traces of Confucianism. However, like any family aspiring to a better education for their children, my parents sent me to schools run by British Christian missionaries. So it was that I was educated in what were called 'Anglo-Chinese' schools where Christianity was a compulsory subject and attending church services was the norm. However, despite the teachers' obvious Christianity, some of the more liberal school principals did permit a degree of flexibility in the curriculum. In the Malayan town of Ipoh, for instance, I recall attending lectures on Buddhism at the Anglo-Chinese, and Christian-led, school. It is also fascinating to consider the achievements of the historic Sakyamuni Buddha. Over many centuries his beliefs, along with Buddhist arts, spread across Asia. More recently, Buddhism has enjoyed a renaissance and now has followers on every continent. Indeed, I have read that Buddhism in the 21st century is the world's fastest growing religion. It is a long way from those early beginnings, when the historic Buddha passed into Parinirvana and the only evidence of his physical remains were reputedly scattered among 84,000 stupas initiated by the great Buddhist King Ashoka. 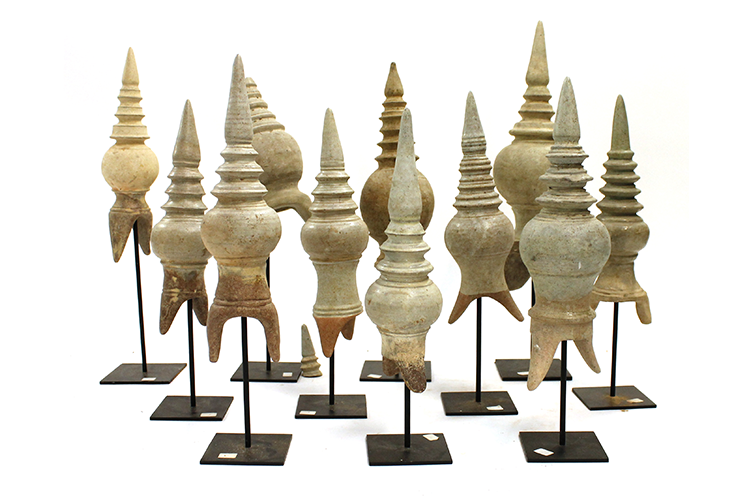 Those 84,000 stupas were presumably the first indigenous Buddhist art forms. According to the great historian Alfred Foucher (1865-1952) the first actual image of Buddha was carved by an artist who was partly Greek and not wholly Buddhist. That was probably a reference to the artistic influence that Alexander the Great brought to Central Asia and to the Indian subcontinent. It is also probably why I often hear Europeans, when they confront a sculpture of Buddha for the first time, say the styling — and especially the treatment of the clothing — reminds them of ancient Greek art. The respected Buddhist scholar, Donald S. Lopez Jr., said of Buddhism - "It is a religion that does not have complicated rituals to perform or dogmas to believe. In fact, it might not be a religion at all. It might be more accurate to call it a philosophy or just a way of life". This may be a reason why Buddhism's appeal has grown so much. During the decades I have been collecting, there has been a growing worldwide fascination with all things Tibetan, and, of course, all things Chinese. 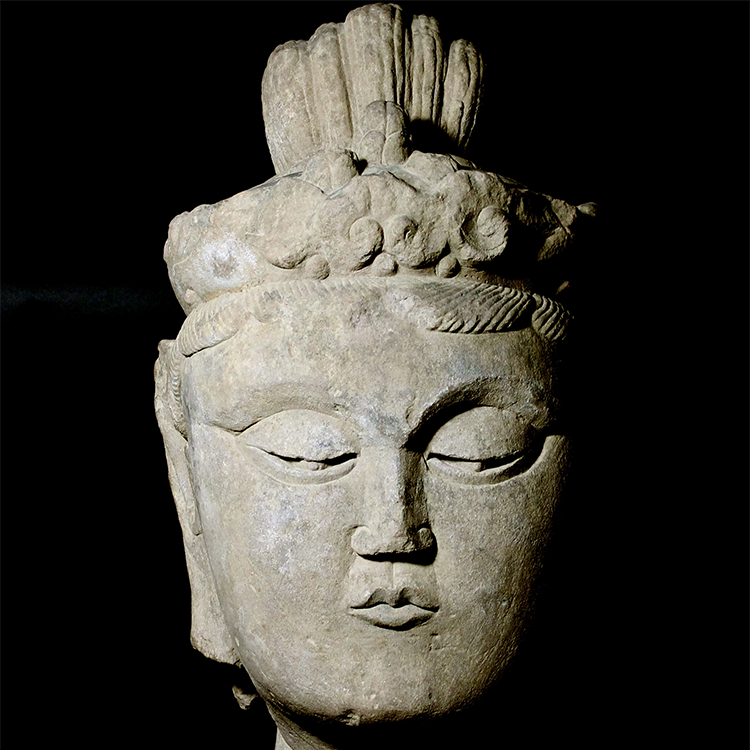 In the early days most of the interest was from Europe and America but it is heartening that nowadays there is a mounting appreciation of Buddhist art among mainland Chinese collectors. It is also satisfying to think that many of the objects in this sale will no doubt return to China, where I hope they will inspire other collectors and believers as much as they have inspired me. It has often been said that collectors are merely custodians, that they do not own their collections. They merely look after things before passing them on to a future generation where they will be appreciated afresh. I think this is true and hope these fine pieces will find new appreciative homes. 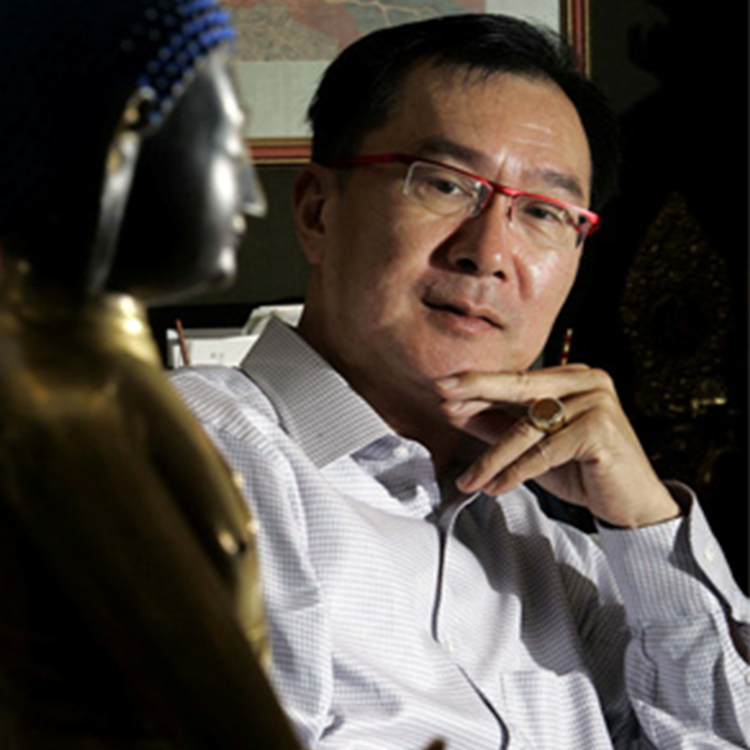 Cheng Huan S.C. was born in Malaysia. He studied law in London and at Trinity Hall, Cambridge. He joined the English Bar in 1969. In 1971 he gained a Diploma in International Law from Cambridge University. In 1976 he was called to the Hong Kong Bar and in 1988 was made a Queen's Counsel. In 1997 he became a Senior Counsel. He is a member of the Peoples' Consultative Conference for the Province of Fujian (China). 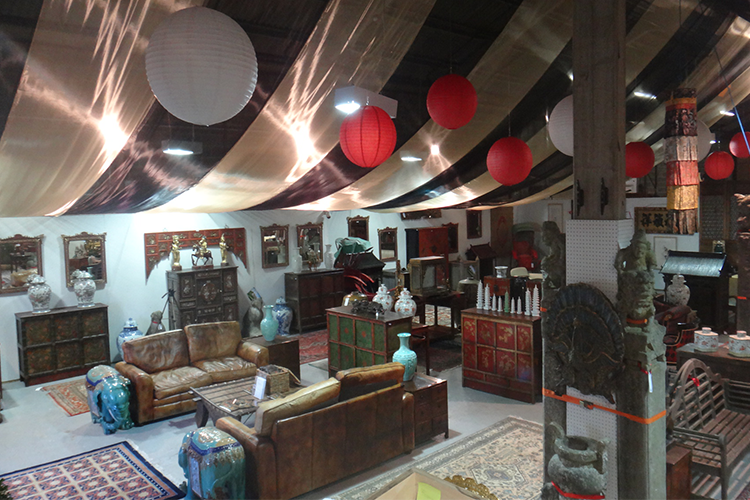 Here is the sale room looking fantastic and ready for bidding tomorrow! Search the sale here.